Please check "McCauley Live" for upcoming events. David McCauley, President and Founder of Leaders Without Limits, Inc. reveals the newest, most effective strategies to protect yourself against lawsuits, creditors, divorce, foreclosure and other deadly threats that can financially destroy you! It's unfortunate, but true; we live in a highly litigious society and people today seem to sue one another over just about anything. Unless you take decisive and informed action using legally sound strategies that have been in place for decades (legal, ethical and responsible asset-protection planning), you're gambling against your own financial interests. Protect everyone you love and everything you own. Learn how you can remove the incentive to sue you and limit your personal liability. Protect your family, your home, your business ventures and other assets from potential lawsuits. You will learn the secrets the mega-rich and the largest of corporations have been using for decades. From liability protection to tax planning, choosing the best business entity is one of the most important decisions you will make. Ensure you and your assets will be safe from any legal attack! Legally, Lawfully & Ethically. David McCauley is a multi-state commercial property investor and is an expert in the field of asset protection, he's been self-employed his entire life with over two decades of successful business experience as an entrepreneur. He is a sought-after keynote speaker and educator, providing asset protection workshops and seminars within the United States. He will share practical information and valuable insight. The extensive information you will gain at this workshop is hard-hitting, to the point and can be applied in the real world. In just one exciting day, you will unleash the power of essential tax planning techniques and legally-sound strategies used to insulate and protect your assets, real estate holdings and business ventures from future potential claims. You will learn how to use the law to increase profits, reduce tax liability, avoid probate and protect your assets the way the wealthy do. 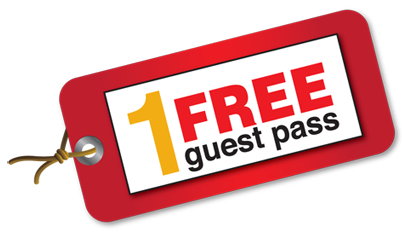 BONUS: BRING A GUEST FOR FREE! Experience the power of advanced asset protection and becoming judgment proof. Ensure you are on the road to extreme financial success... start asset protection planning before a lawsuit or creditor claim arises. Leaders Without Limits, Inc. respects your privacy & security. No Events Scheduled At This Time. Please check "McCauley Live" for upcoming events.